Late last year Tasia sent me a couple of her Sewaholic patterns to review, the Fraser sweatshirt and the Dunbar top. I made the sweatshirt immediately because I had the fabric in stock, and was waiting until I finished the Dunbar top to blog about it, but I haven’t even started it and time is passing! This top is such a good basic and it gets a lot of wear, especially now that it is spring here. The only problem with this sweatshirt is the fabric. I love it and it feels gorgeous, but it stretches tonnes with wear. From memory the fabric has some viscose content which might explain the zero recovery. Eventually I spent an afternoon unpicking the cuffs and hem band and taking them in 5-10cm because they had stretched out that much. I didn’t take in the neck band, but it does need it – with the prospect of unpicking more overlocking I decided the dropped shoulder look was just fine! I originally approached Tasia and offered to review the patterns from a patternmaking perspective. I know she has left the company now, but I still feel like I need to keep my part of the bargain, so I’ll keep it brief. In retrospect I should have chosen something more complicated than this because there is not really a lot to say anyway! It fits really well, the sleeve hangs nicely and the 3/4 sleeve length is just right. At an average height of 168cm I personally like the body length, but you might need to lengthen it if you are much taller. The only thing I would have done differently is add some extra notches to the neck band. I have no hesitation recommending the pattern at all. In my own head I call this my Tasia Top because I think of her every time I wear it. She was a much loved member of the sewing community and is missed, but whatever she is up to now I hope she is doing well and I wish her all the best! I agree, Tasia will be sorely missed. She was so good at getting the little details right – and they are what simple patterns like this depend on. The sweatshirt looks great! If you hadn’t mentioned the “little problems”, no-one would ever guess. Makes me feel better that I’m not the only one who sometimes doesn’t quite get the fabric/pattern combination right. It looks like we had the same fabric problem Irene! Your sweatshirt looks great. I haven’t tried this pattern as I have been using the Linden but this might be worth checking out as well. I love the photos on Pt Chev beach, one of my favourite places, apart from those crazy days in summer when you can’t move for people! Yes I recommend this pattern. I love Pt Chev beach too – so undiscovered, and so many different moods! Looks fab – glad to know you sometimes have to go back and fix a few little finishing touches at times too! Ooh yes, sometimes I think I unpick more than I sew! This looks great and so comfy! The pattern has been in my stash for more than a year I think and I’m yet to get around to it. This autumn hopefully! Thanks! It is very comfy and I wear it a lot for that reason – definitely a practical make. 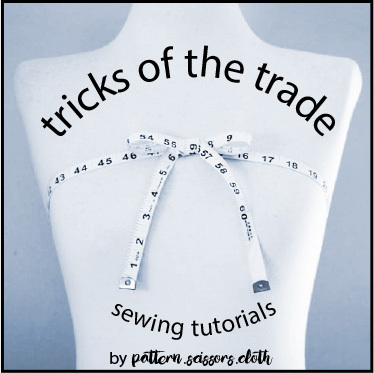 It’s a quickie so you should be able to squeeze it into your sewing queue!